Some of my colleagues believe that in this day and age rabbis must function as prophets, taking public stands on political and social issues from gun control to refugees to presidential campaigns. Judaism, no doubt, has what to say about all these topics of the day and more. As a rabbi, however, I see it as my task to educate about what Judaism says to all sides of these issues. After all, we know that Judaism rarely offers a single answer to any question, sometimes only offering another question in response. Being a rabbi certainly doesn’t qualify me as the authority on all topics that affect our society; being a Jew certainly doesn’t qualify me as owner of the only truth. Two thousand years ago, in the wake of the Temple’s destruction (largely due to the corrupted priesthood which had concentrated religious and political authority and access in the hands of the few), the rabbis transformed Judaism from a cultic sacrificial system into a tradition based upon individuals expressing their relationship with God through the conduct of their daily lives. No longer would religious power and access to God be owned by the few and corruptible. The written word would give equal access to all. Throughout the centuries and the various shifting locales of Jewish life, our rich tradition has recognized a plurality of authorities and a wide range of customs and interpretations. We find ourselves today at a moment in history similar to the one our rabbis faced 2000 years ago. 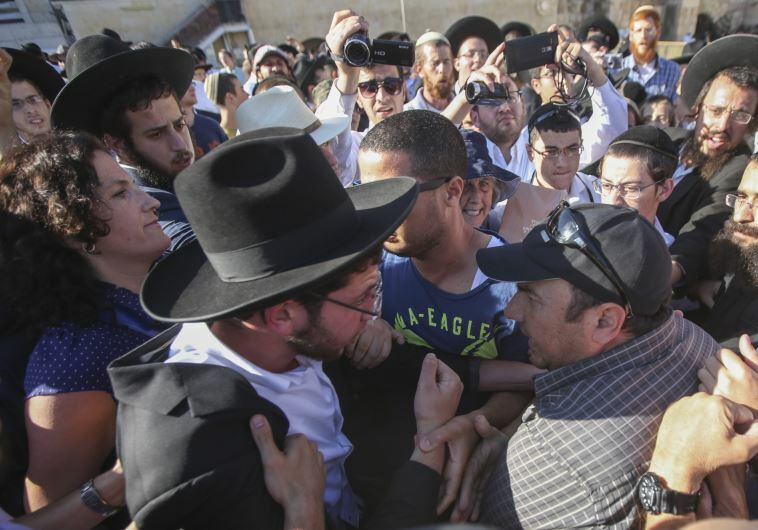 A small group of politically powerful ultra-Orthodox parties in Israel claim sole access to and interpretation of the word of God; only through them may others connect with the Divine. This past week our American Orthodox leaders were shaken to hear that a conversion performed by one of their leading figures of our generation was invalidated by an Israeli rabbi. 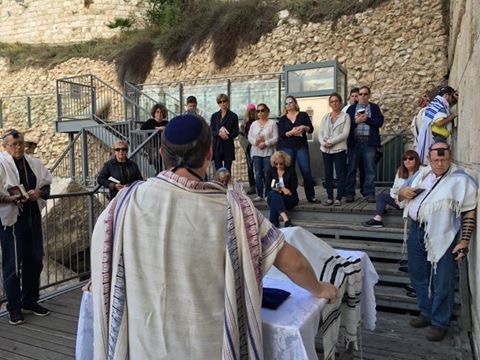 The week before, a group of men marched into the egalitarian section of the Kotel–where we have prayed together as a community on so many occasions–and set up a mehitzah. The Israeli government is now backpedalling from implementing an agreement reached months ago, as religious groups retract their assent to a deal that had granted the Masorti (Israeli Conservative) and Reform movements a respectable, secure and accessible spot for mixed prayer at the Kotel. This issue, in my opinion, is the most important issue confronting us as Jews today, even more pressing than the threats of antisemitism or the BDS movement. Why? Because “we” have nothing to say to the world as Jews in response to the social and political issues of our times until “we” are recognized as Jews who can speak for Torah, for Israel and for what Judaism offers the world. The Israeli rabbinate and the government enabling it have undermined the legitimacy of our voices as Jews in the world. Before we can speak Torah with authority to any of the issues of our day, we must reclaim our legitimacy. Just as we expect others to denounce extremism, our voices of moderation raised before our own extremists. We can, and indeed we must, communicate this message to every Jewish institutional circle in which we find ourselves. This can be as simple as sharing your support of this message with the lay leadership or professional staff of your local JCC, Jewish Federation, J-Street, AIPAC, or AJC chapter. Let them know you will not tolerate being marginalized as a Jew. Write to Ron Dermer, Israel’s Ambassador to the United States, or visit his Facebook page and post a message there. Go to masorti.org to learn more about the advances that Masorti Judaism has made within Israeli society, and the challenges it faces. Let the Israeli government know that there are consequences to its continuing acquiescence to religious parties that deny all Jews the free expression of their Judaism. Our children are being disenfranchised and their connections to Israel are being attenuated–not because of Israel’s foreign policy, but first and foremost by a religious policy that denigrates and invalidates their very identities as Jews. Jews of Israel and Jews of the Diaspora must take back from the hands of the self-proclaimed prophets ownership of God’s word. Each of us is a prophet, each of us hears God’s word. When we own this fact and tear down the false altars that have been erected by those who have hijacked our tradition, Torah will once again emanate from Zion, the word of God from Jerusalem. Her ways will be pleasant, and her pathways will be peace. Then we will certainly have what to tell the world. Im so happy you are sharing with a pen. form listened to by the Almighty. It is good to hear you clear, strong voice. I support your position and hope your words will help bring about change.